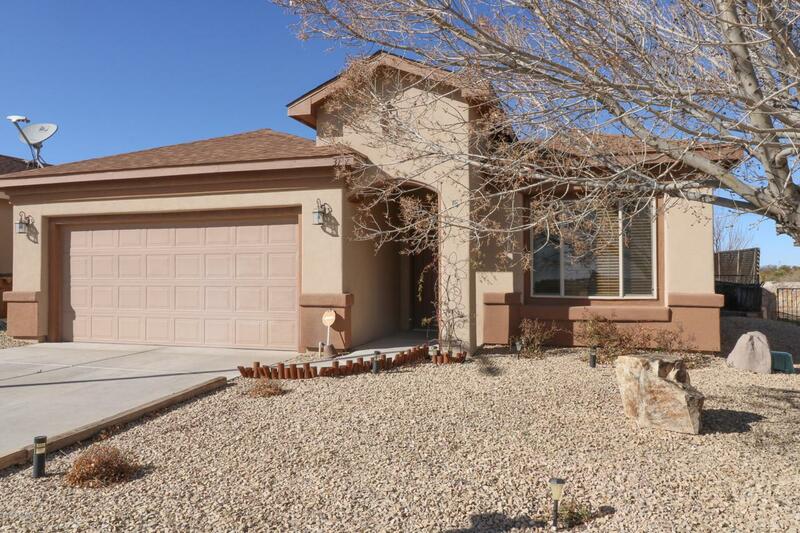 Beautiful, well taken care of home in new, up & coming area of Las Cruces! 3 BR, 2bath home W/no neighbors behind you or in front of you! LR has tile floors, ceiling fan & door to patio. Kitchen has breakfast bar, pantry, lots of cabinets & counter space & includes fridge! Window between Kitchen & LR makes it feel open & easy to talk with your family & guests. Desirable split BR plan. Master BR has walk-in closet. Mater bath has double sinks, tub & separate shower. Refrigerated A/C. Brand New Roof in Jan. of 2019! Warranty included. Enjoy the green grass in backyard, rose bushes, & numerous flowering plants! Watch quail & little cotton tail rabbits, one of the benefits of not having neighbors behind you! Beautiful sunsets from patio! No through traffic. 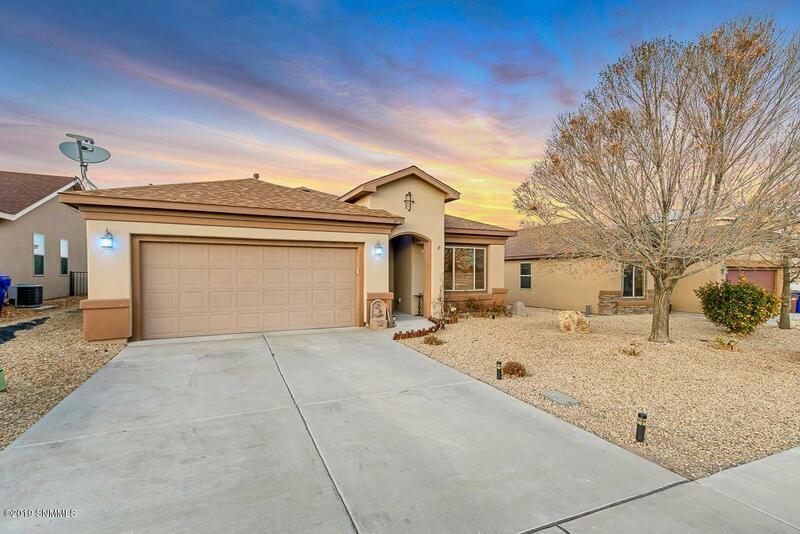 All this & close to Red Hawk Golf Course, walking paths, shopping, eating & easy access to HWY 70 & White Sands Missle Range! Vivint alarm system installed W/doorbell camera, 3 doors 7 windows & garage remote w/monitoring screen all controlled w/phone app!